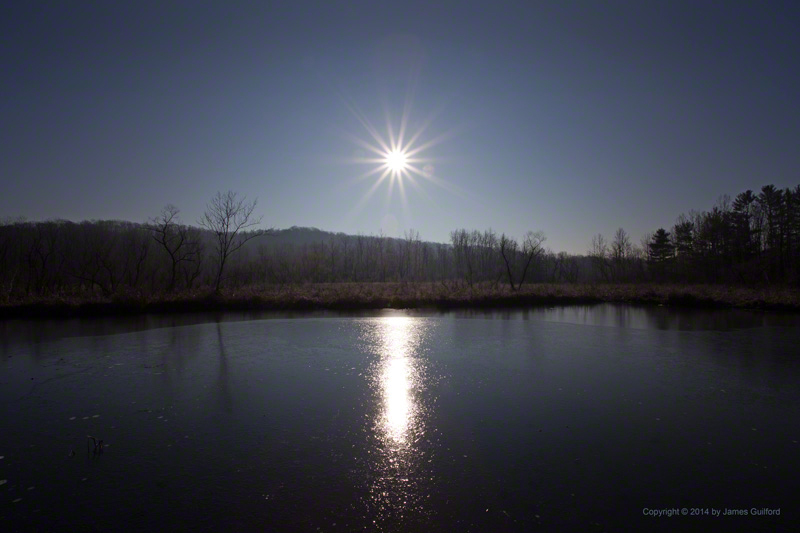 Walking the Towpath Trail in the Cuyahoga Valley National Park (CVNP) this morning I was looking to get a good shot of the “solstice sunrise” over an icy wetland area. After some past efforts, I think I got something pretty good. Okay, this was shot the day after winter solstice, and it really wasn’t sunrise but mid-morning. In my defense, I’ll say the morning of winter solstice here was overcast so, if we had clear skies yesterday, this is about what it would have looked like! Anyway, it was a beautiful morning and the sun beamed brightly for a while over a wetland area of the Cuyahoga Valley National Park just north of Akron. We take what we can get! After the sun shot, I walked south along the trail. Exploring the frosty landscape, I stopped to photograph something on a tree. To my surprise, a small bird dropped down and alighted about a foot from my face! Turned out to be a sassy little Chickadee who, apparently, has been getting handouts from visitors. I had no food to share but took advantage of the little fellow’s willing poses as it flitted from twig to twig. 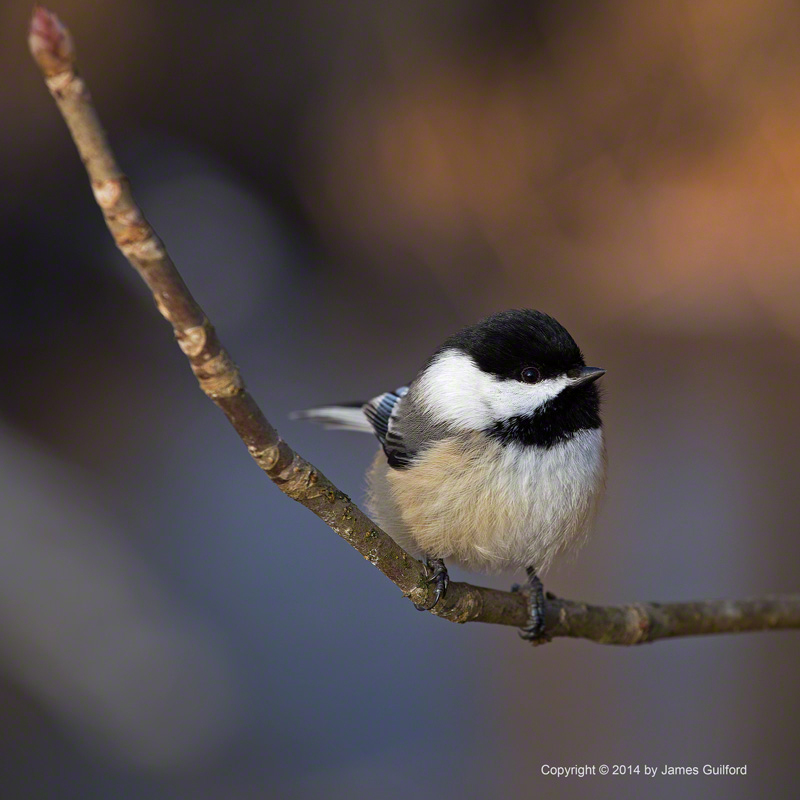 Often the little bird was actually too close for me to bring into focus with my telephoto lens and was always moving. I did manage to record a couple of nice portraits before my little Chickadee figured out there was nothing in it for him and zipped away. Great chicadee shot. Had 1 eat out of my hand many years ago.